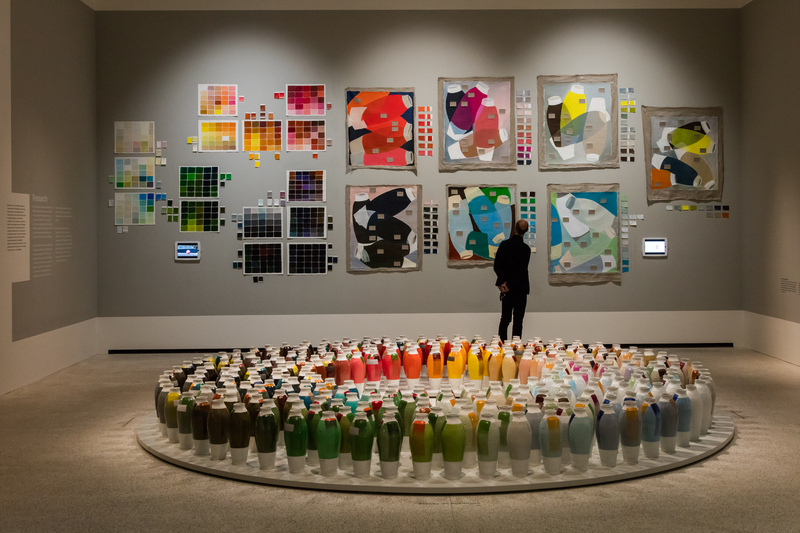 We recently won a project that will see us exploring colour and colour trends in a detailed way, so we took the opportunity to brush up on our colour theory at the London Design Museum’s current Breathing Colour exhibition by Hella Jongerius. The use of ‘colour catchers’ – a device Jongerius uses to inform her work on the relationship between colour and light (see fourth image down, left) – which are a key element of the exhibition. 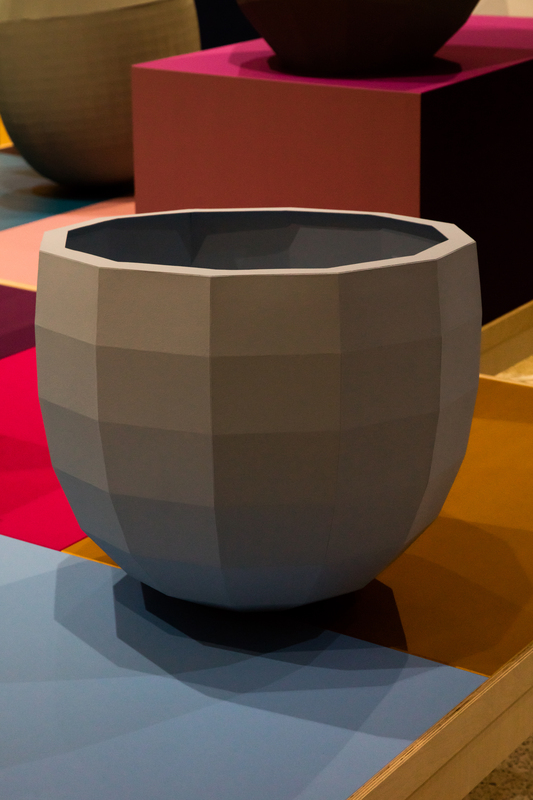 Multiple-angled, their folded surfaces generate multiple tones from the same colour, providing a simple way of demonstrating Jongerius’ colour theory. 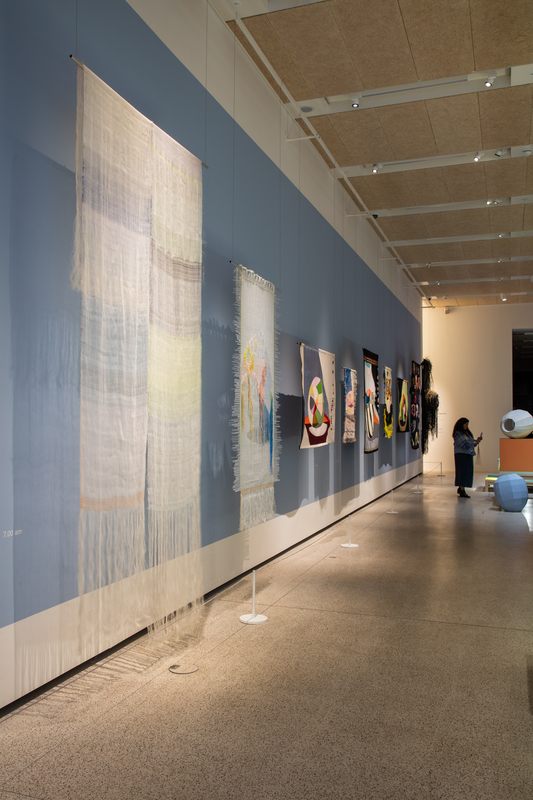 Jongerius’ ‘woven movie’ (see second image down, left), which shows colour catchers at different times of the day, demonstrates how changes in colour temperatures throughout the day affect the tone of a colour. A lightbox containing different coloured objects under red, green and blue light – a lesson in colour mixing. The themes explored by Jongerius are absolutely things that clients should be thinking about in their respective industries. For example, it is interesting that few UK fashion retailers offer different lighting options in their changing rooms, to demonstrate how clothing might look under differing light conditions. As Breathing Colour highlights, the differences can be significant. 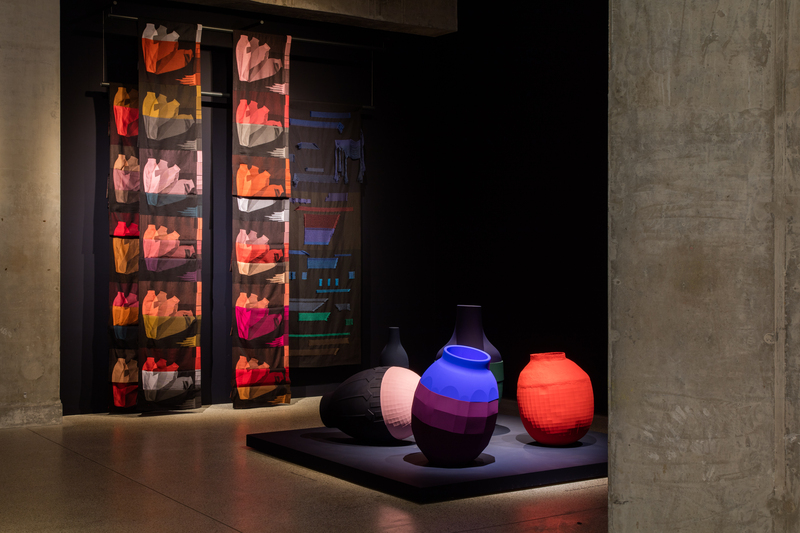 The exhibition also got us thinking about colour in a new light, and the possibilities of choosing colours – for the right projects – that are particularly unstable, to give fluidity to our design; delivering something that evolves as the light conditions change. It’s a device that could really enhance the right brand story.